The government has brought warehouses under Goods and Service Tax net from April. However, those players in organised sector who take warehouses on rent as part of their collateral management business, see a huge burden especially when they deal in agri commodities. Agri commodities collateral management business has flourished in last few years as these companies help farmers and processors to get finance from banks and non-banking institutions. They have to pay now 18 per cent GST on rent they pay for warehouses in which they keep collateral commodities. In many cases they themselves finance farmers or their group NBFCs finance them against collateral commodities. Hence these collateral management companies cannot get the input credit of GST they pay on rent because the commodities in which they deal are agri commodities which are not attracting GST. This is a big burden on them. “If the agri commodities are fully exempt from GST, all products and services linked to this should have been exempted. The entire channel either needs to be taxed or exempted. We, therefore, consider the current structure of GST levy as an element of business risk. We provide a variety of services to our customers in a package which help us make even a small segment of our business viable,” said Ramesh Doraiswami, Managing Director, National Bulk Handling Corporation (NBHC). Smaller warehouses with annual rent income of below Rs.20 lakh are however exempted from GST. 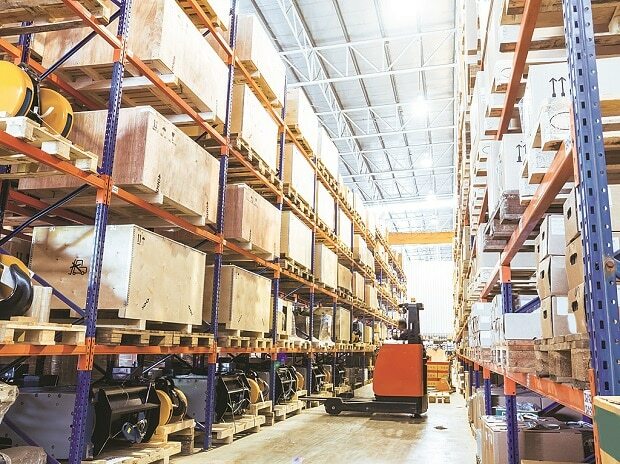 This is a major relief as, according to CARE research report, approximately 90 per cent of the warehousing space controlled by unorganized sector players and are less than 10,000 square feet.